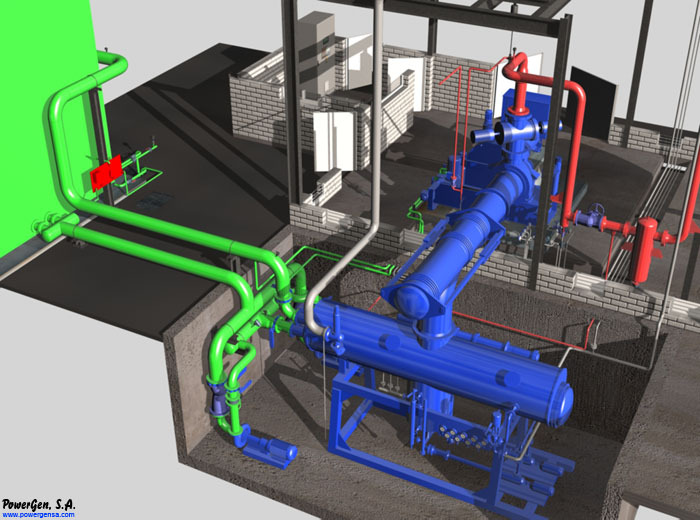 provides all engineering services needed to carry out, from start to finish, CHP projects. From initial assessments, when analyzed various opportunities that are presented to the hypothetical cogenerator, to detailed engineering and plant construction, once the decision to carry it out is made. In this sense, services can be understood as "turn-key engineering ". The work methodology applied is engineering per systems with responsibility for the whole project. The company is comprised of independent professionals, its capital is one hundred per cent Spanish and its shareholders, made up largely by technicians of the company, are not energy companies.